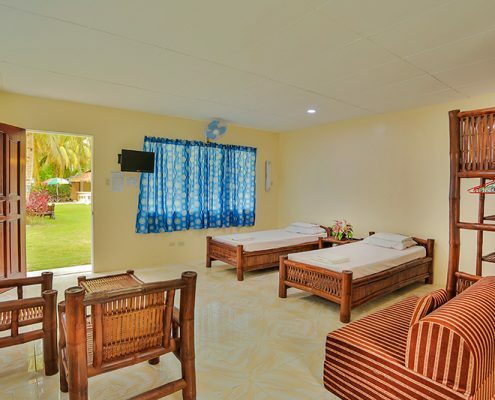 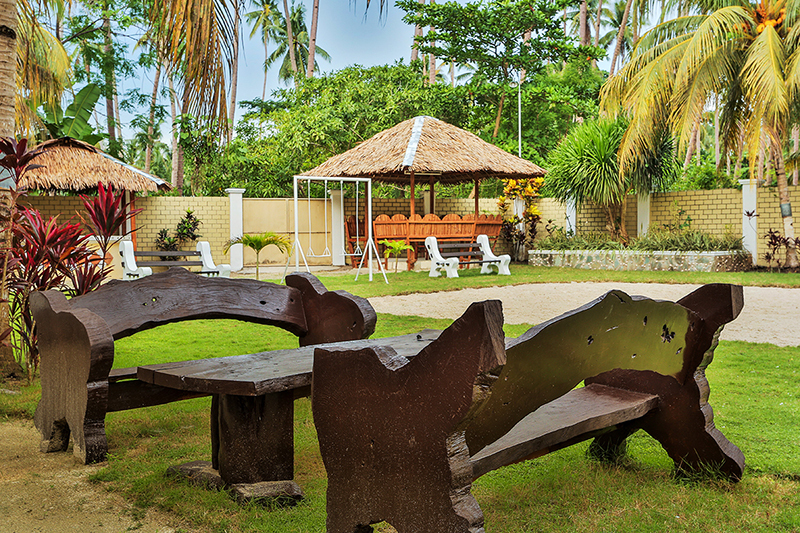 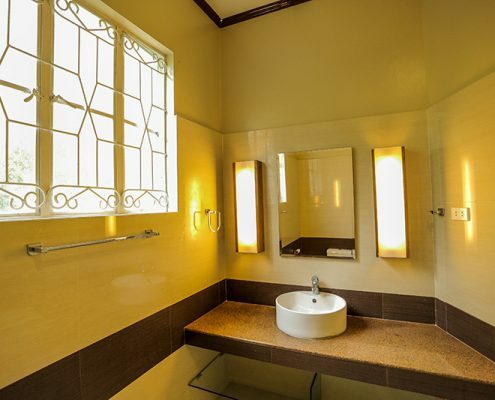 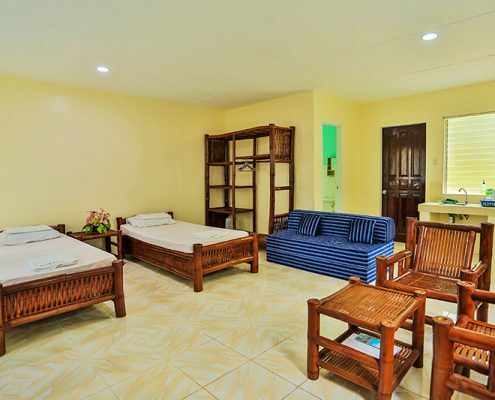 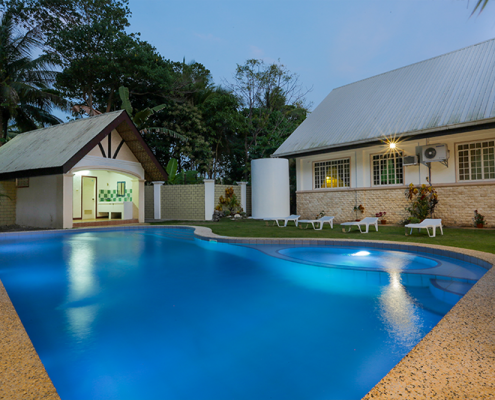 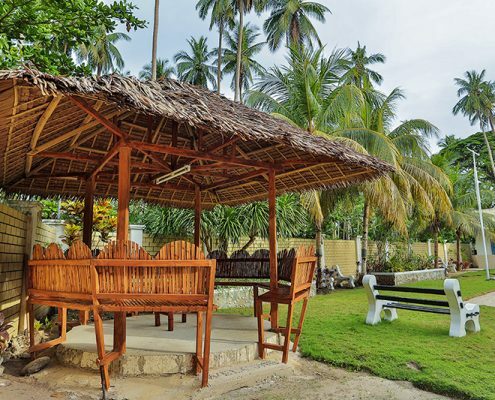 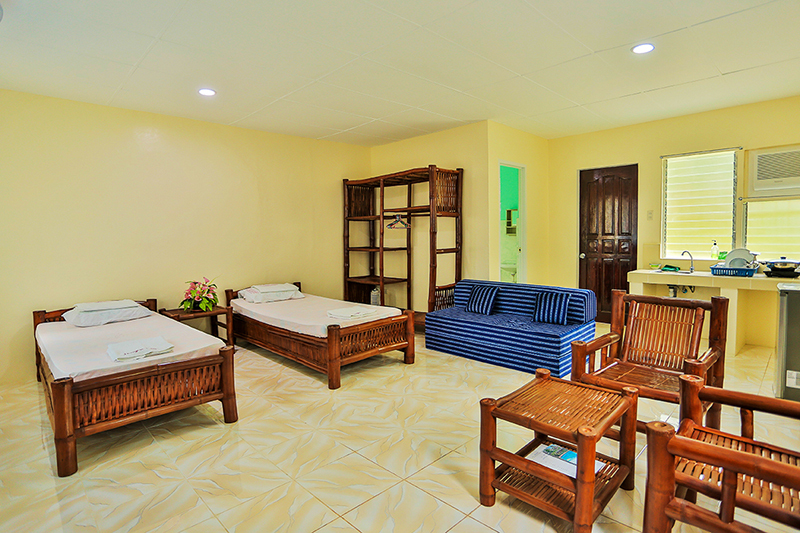 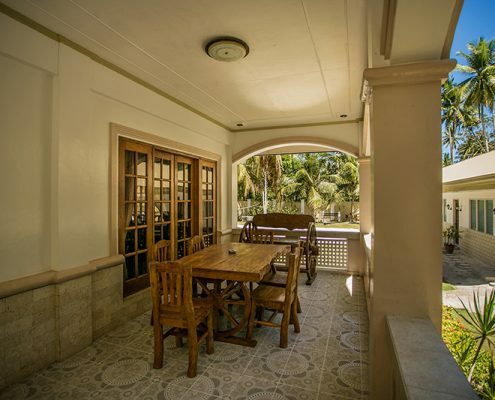 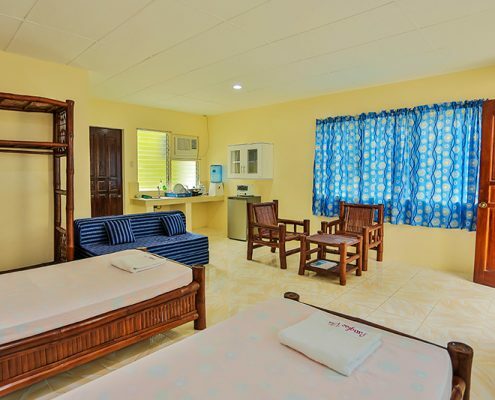 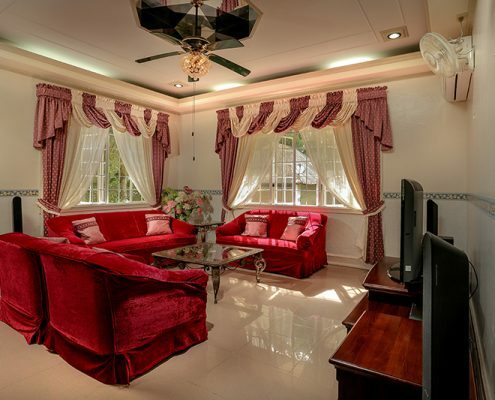 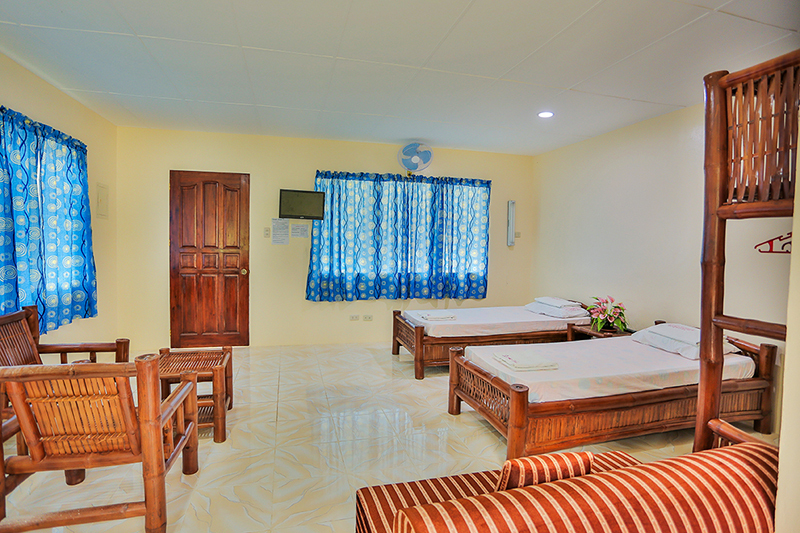 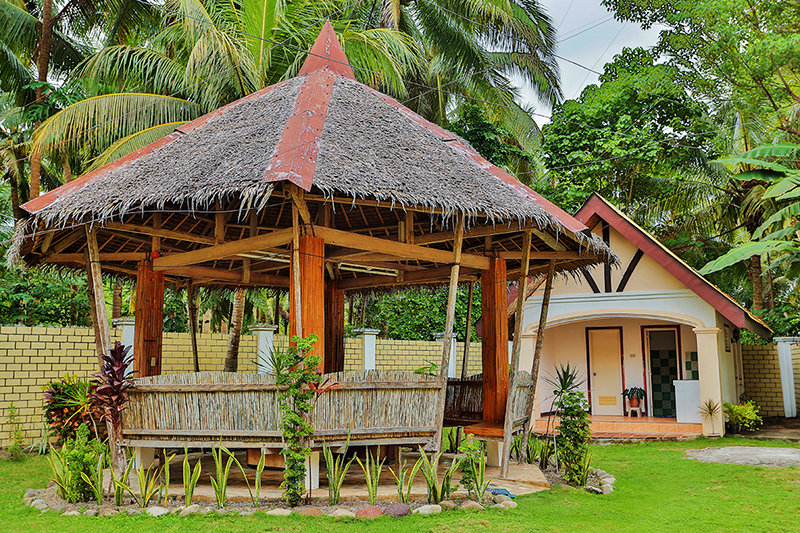 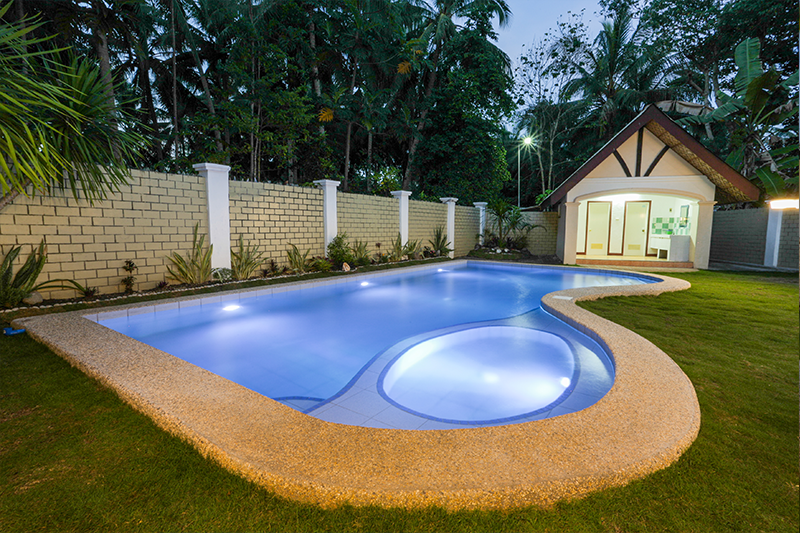 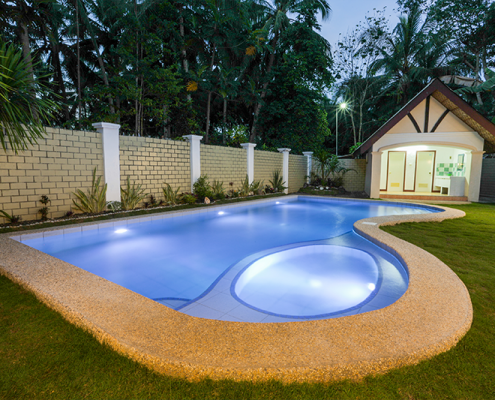 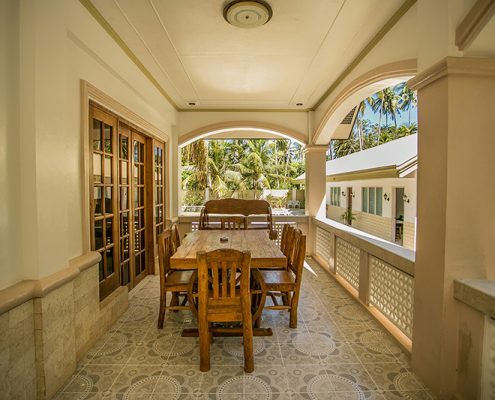 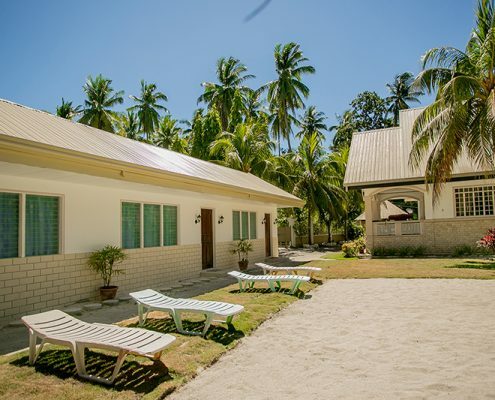 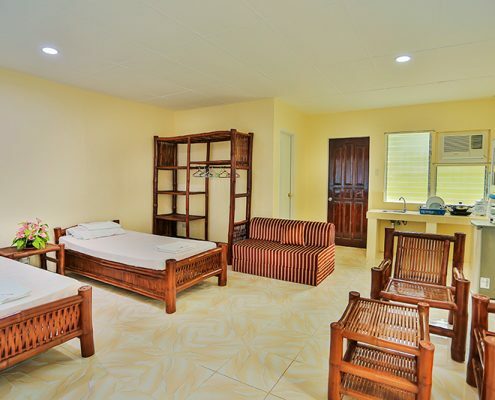 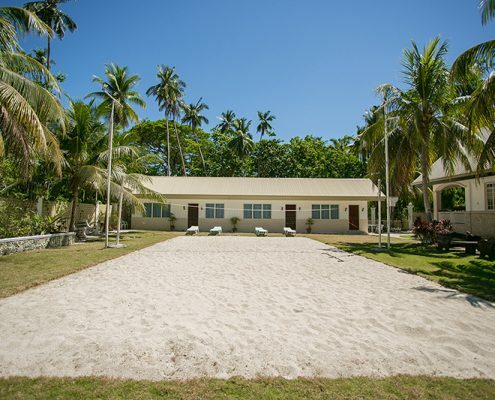 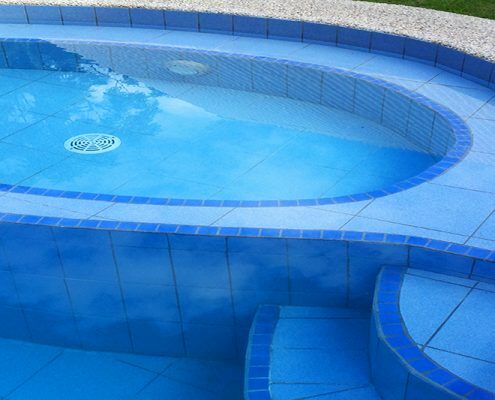 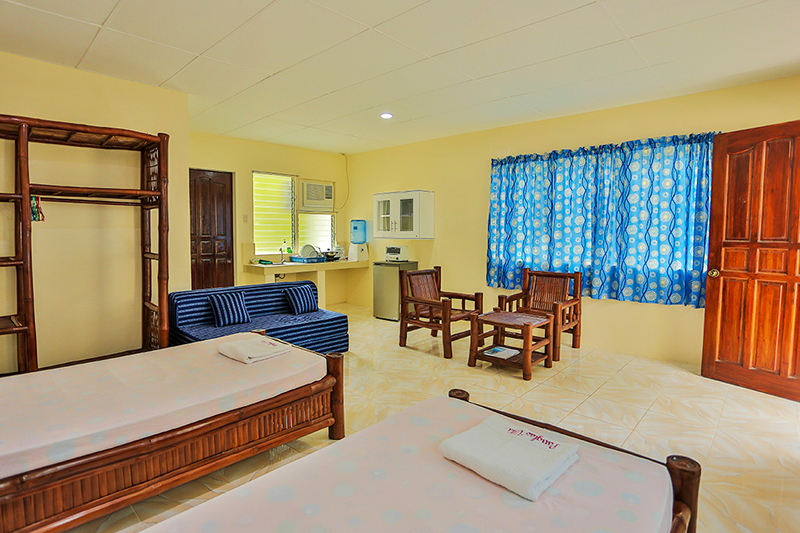 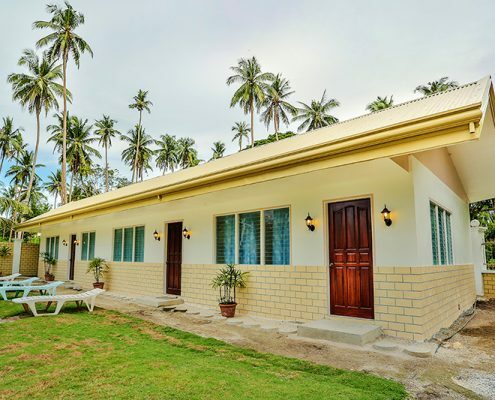 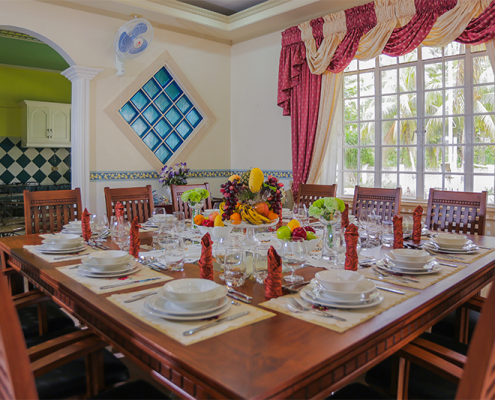 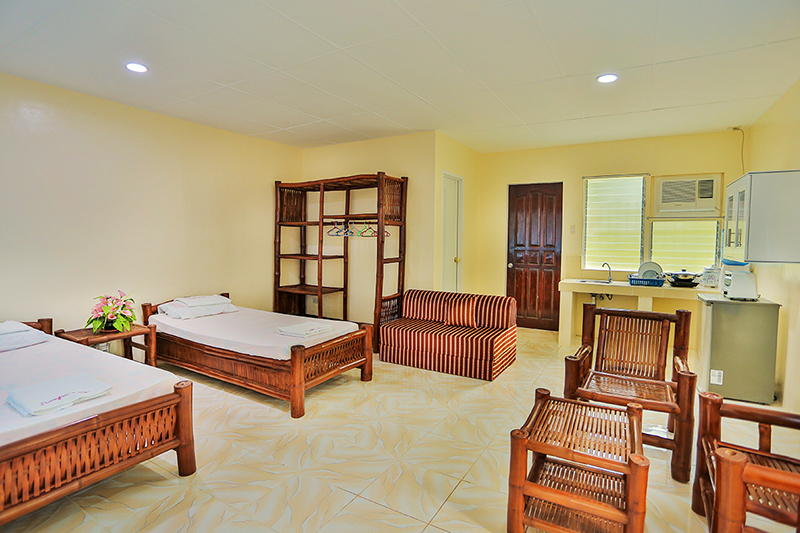 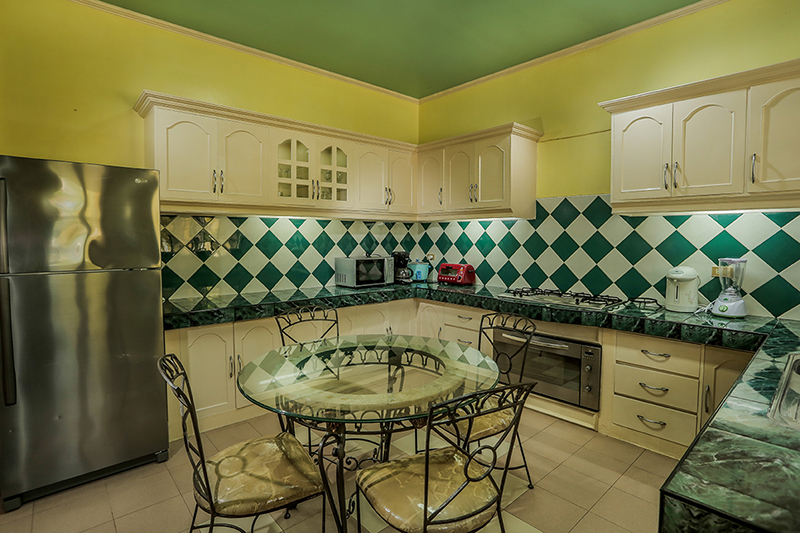 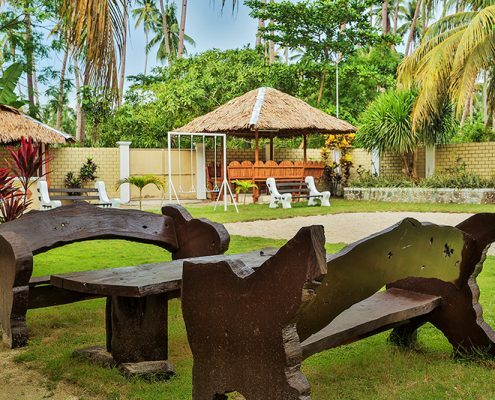 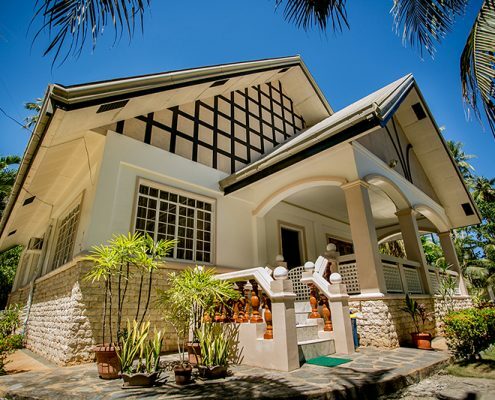 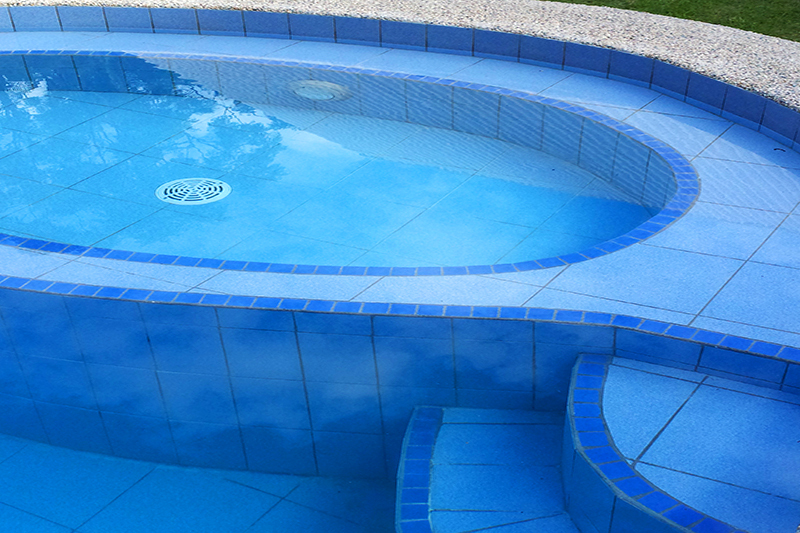 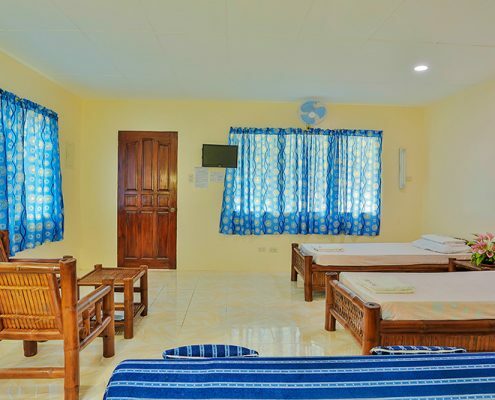 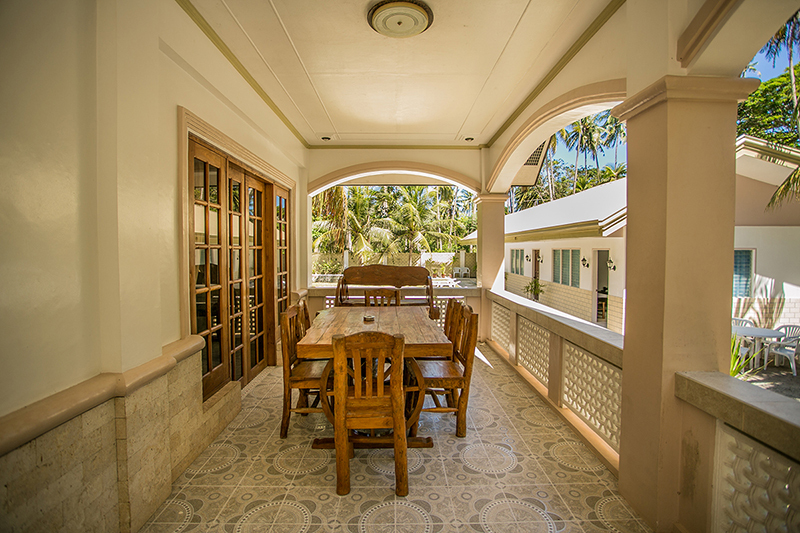 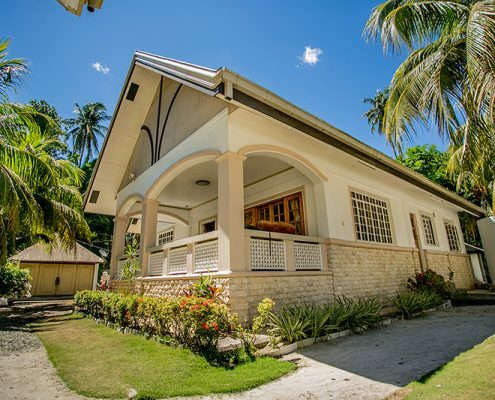 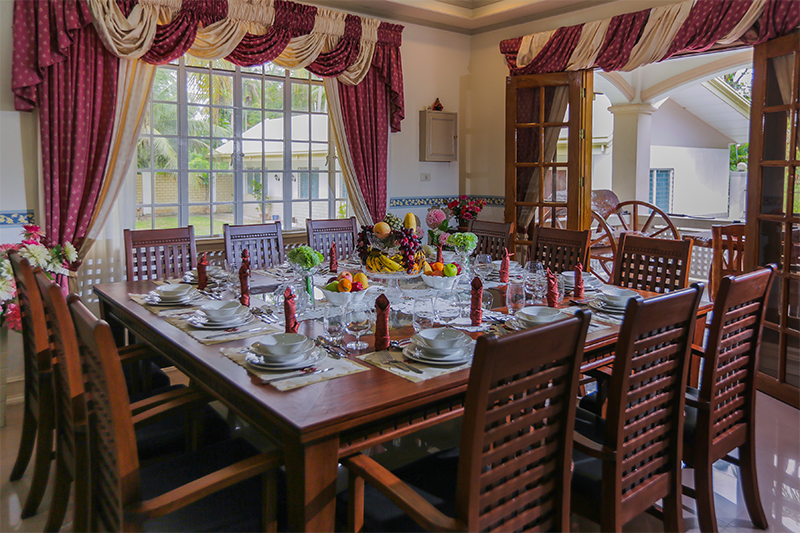 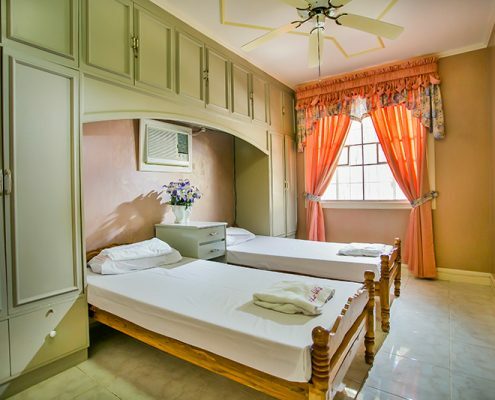 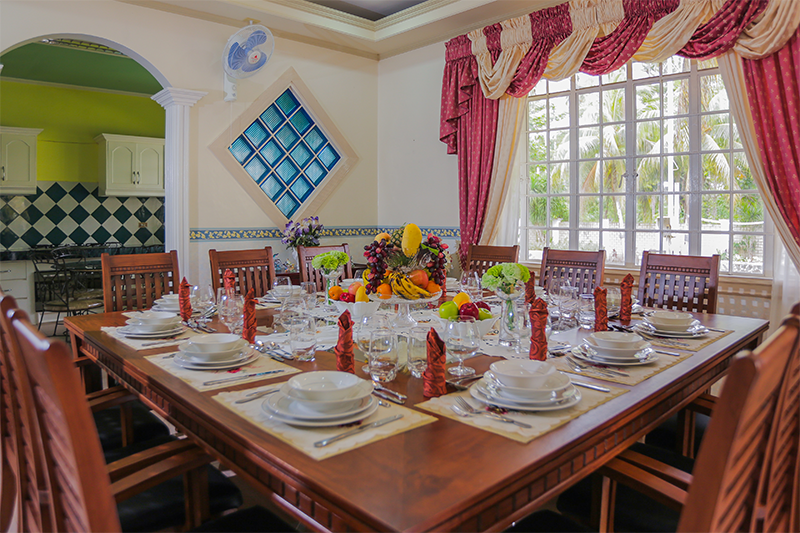 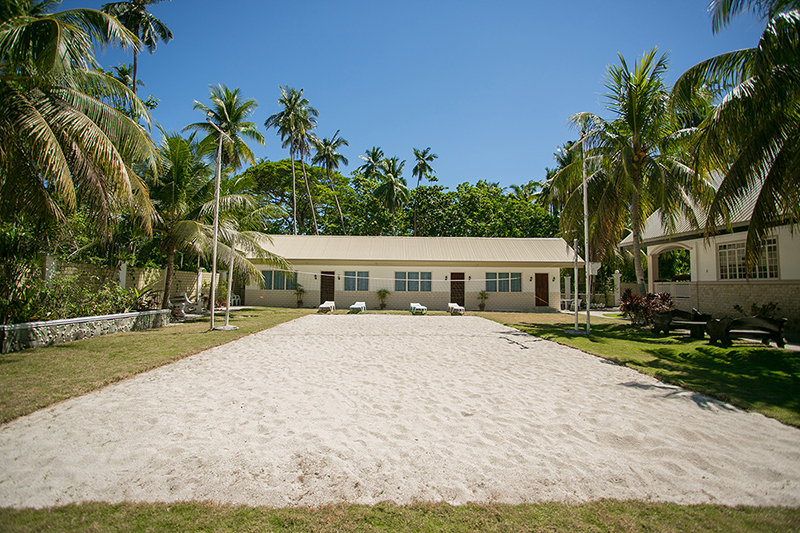 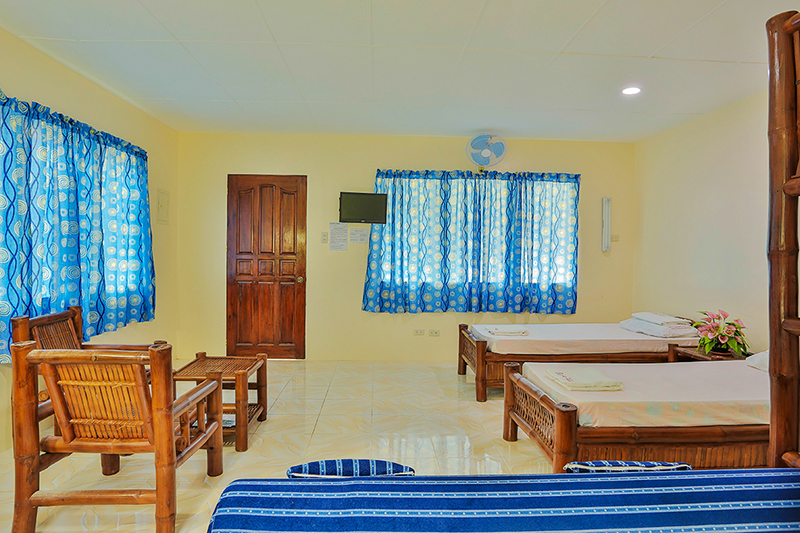 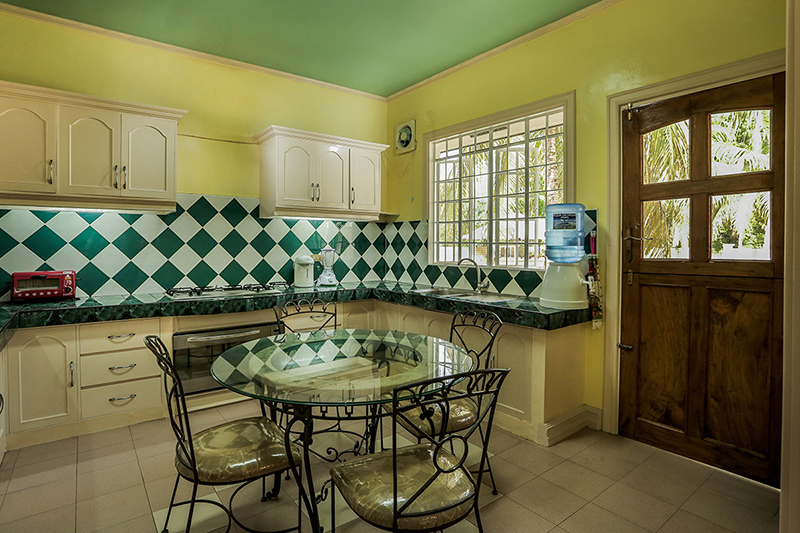 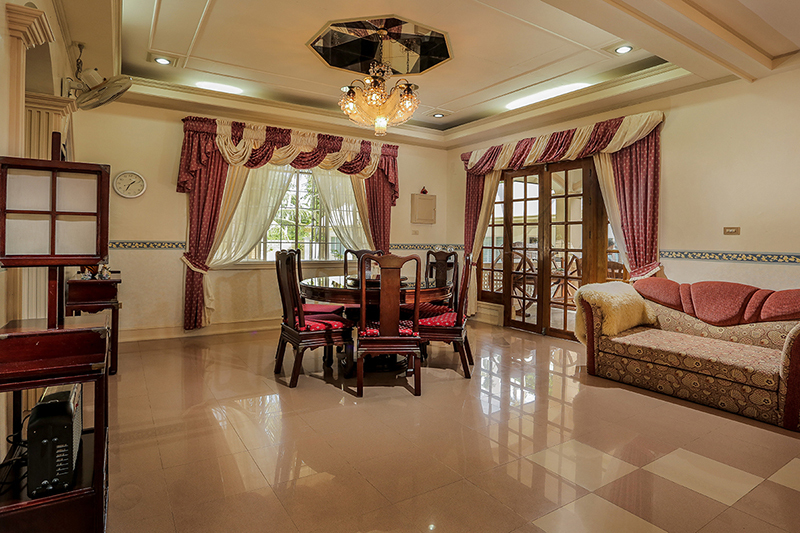 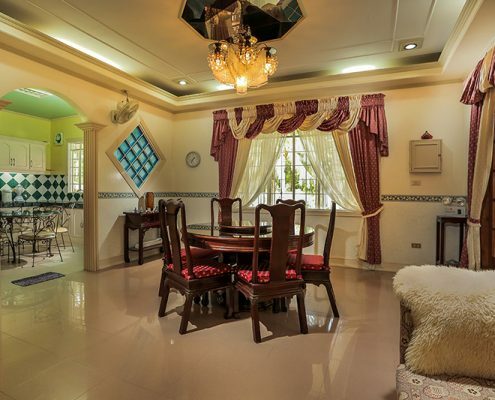 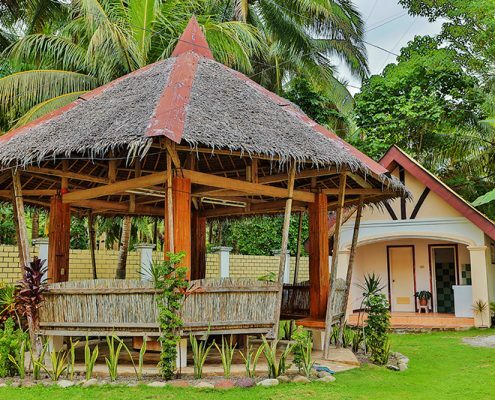 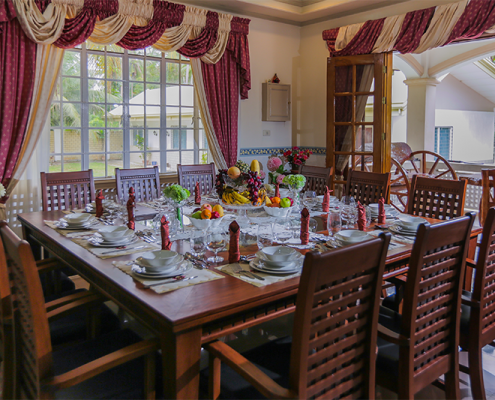 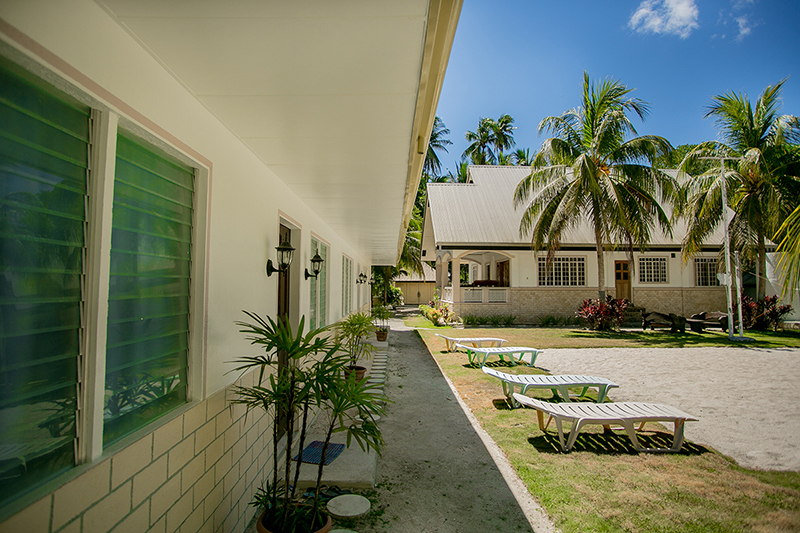 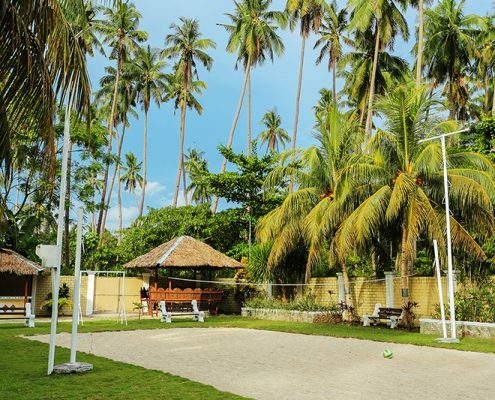 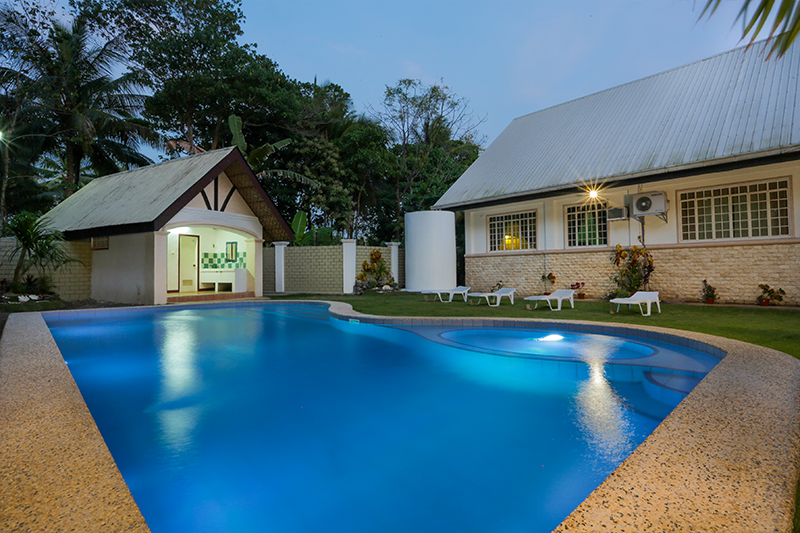 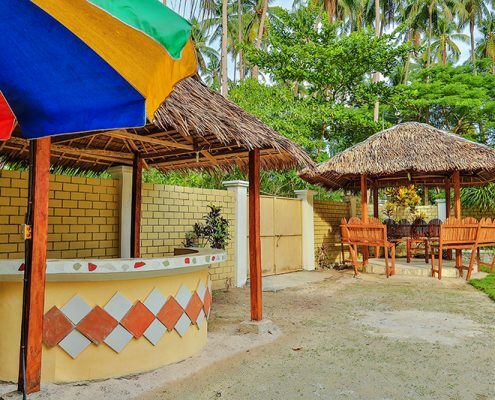 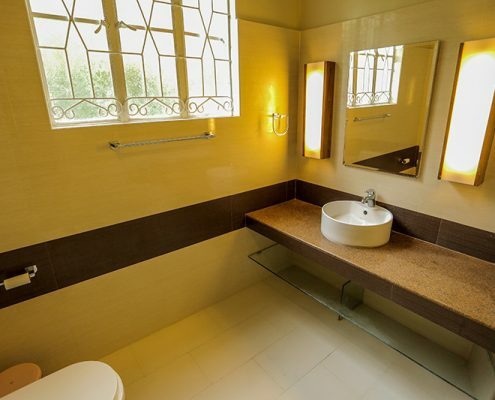 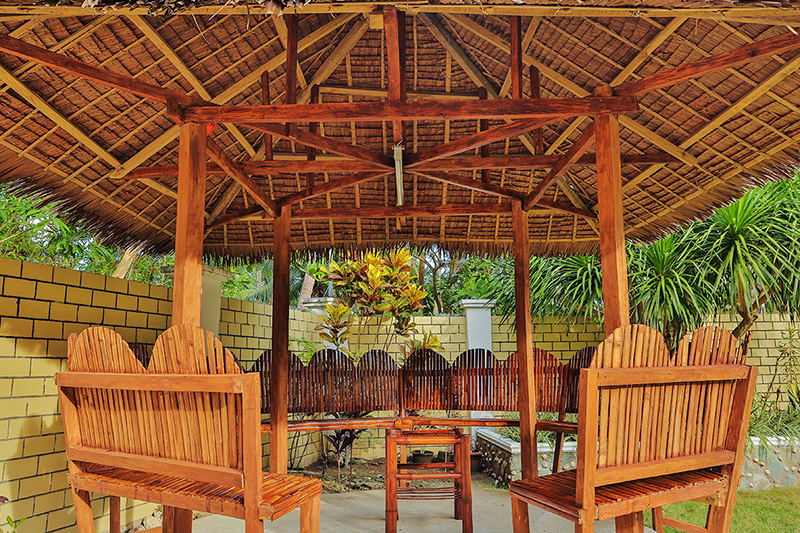 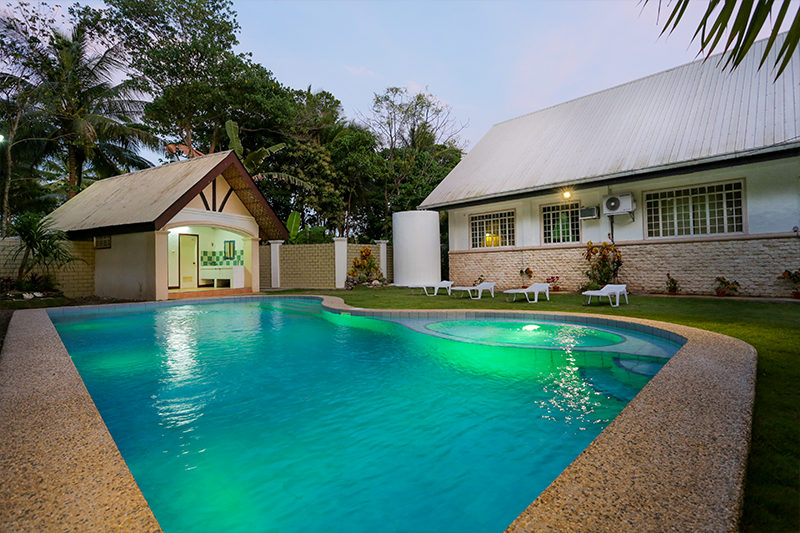 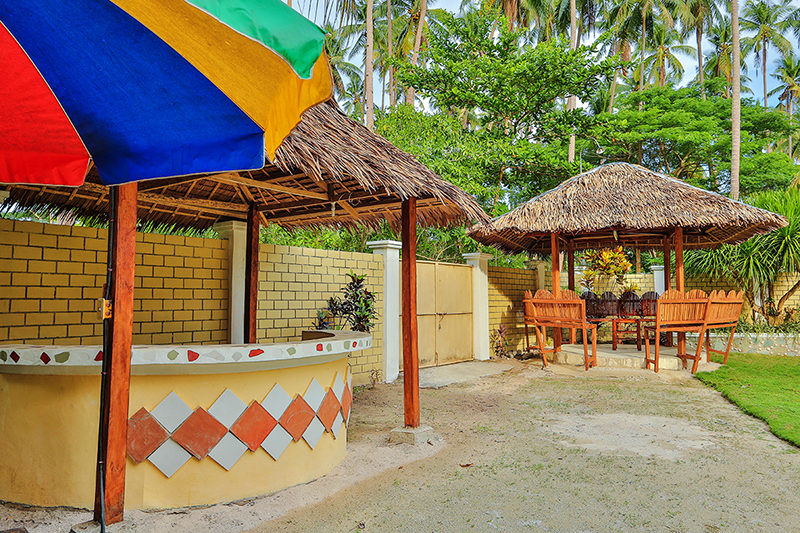 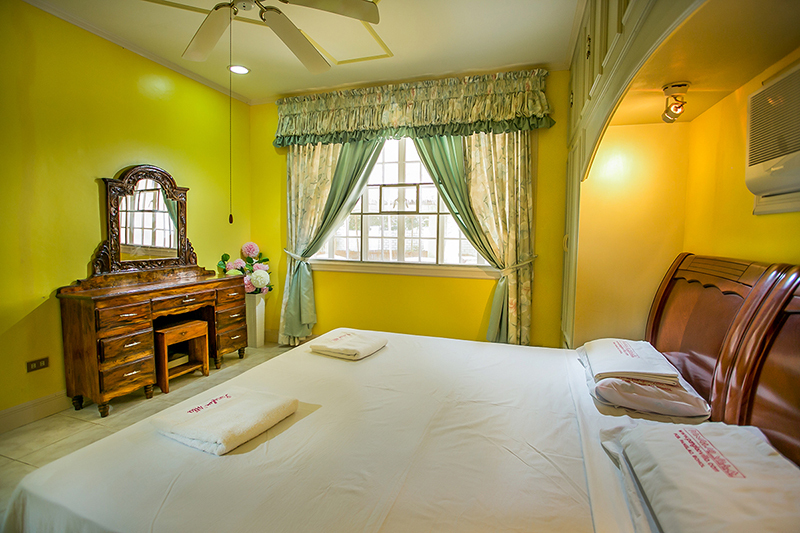 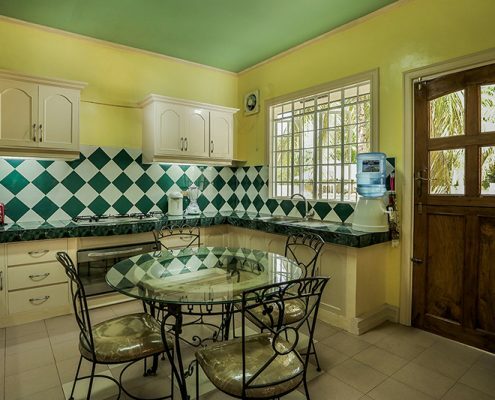 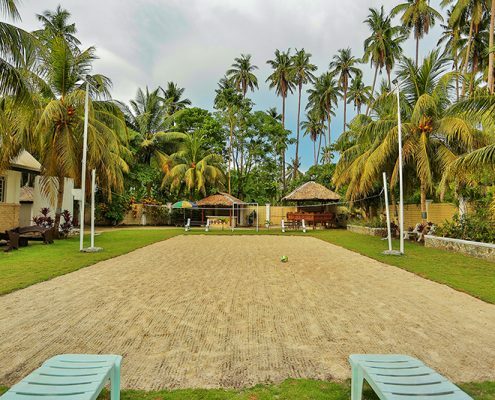 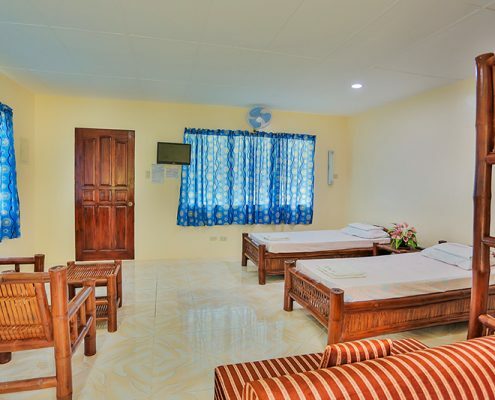 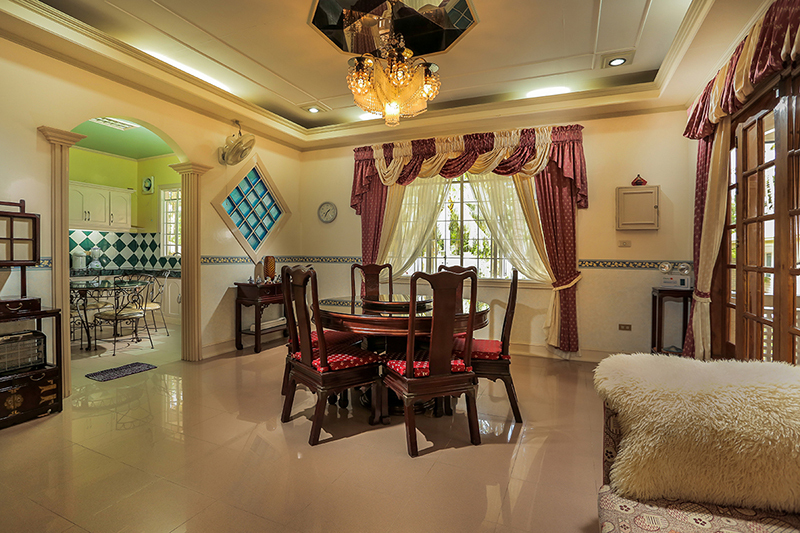 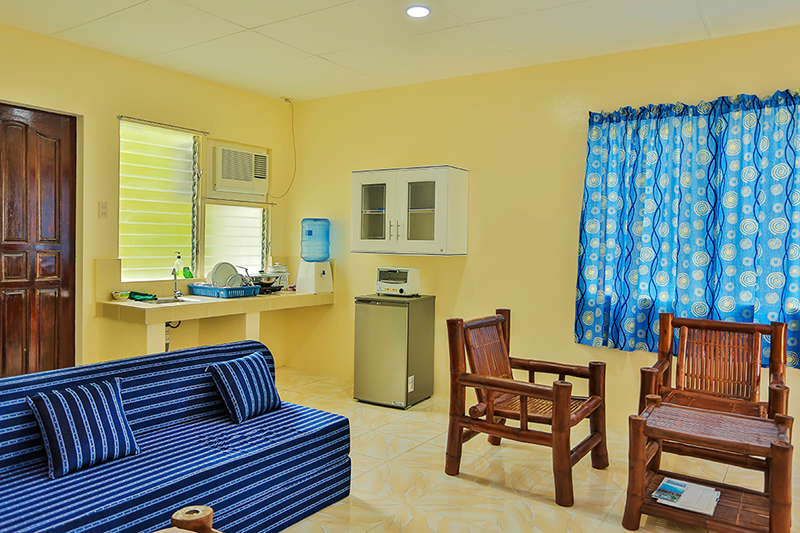 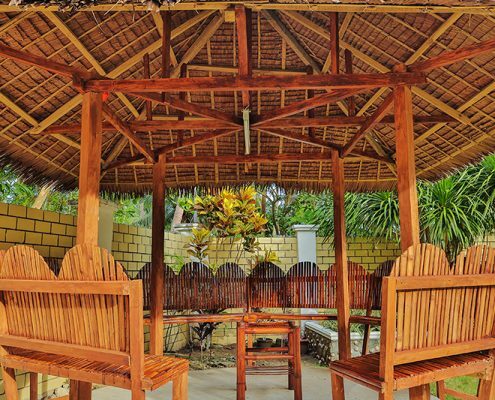 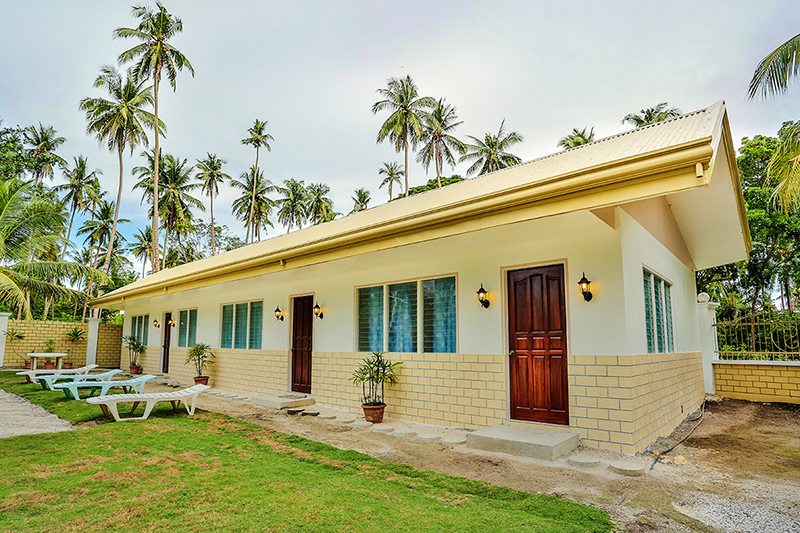 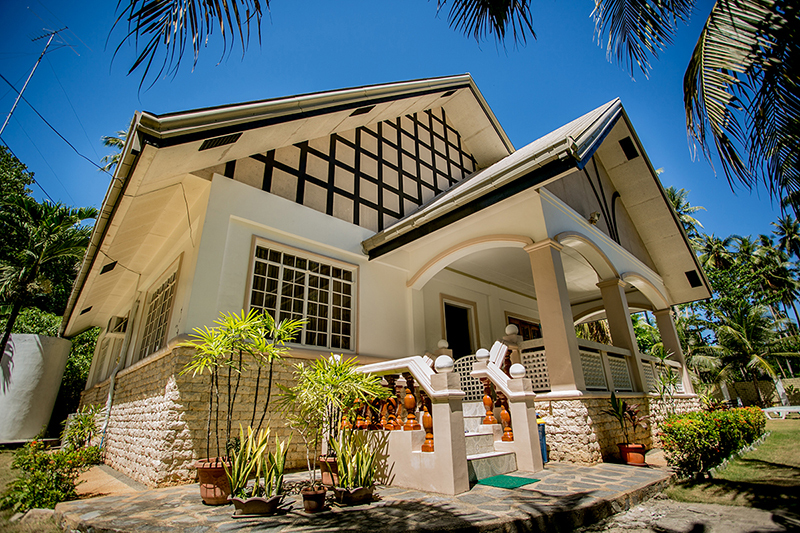 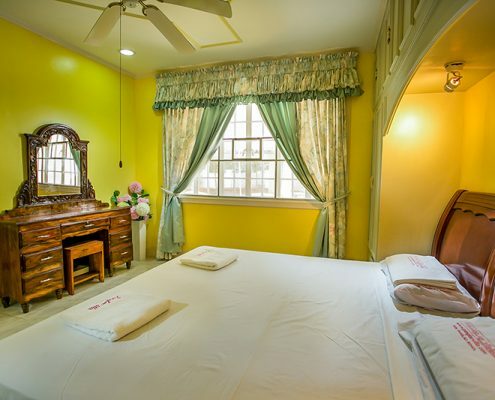 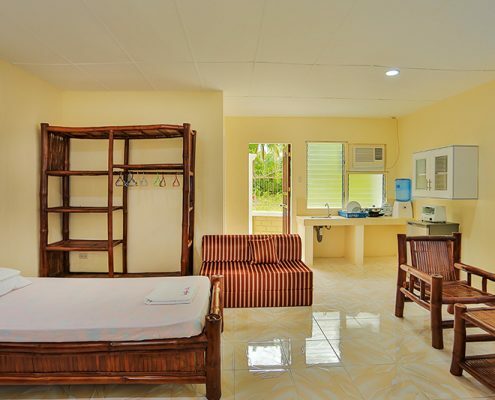 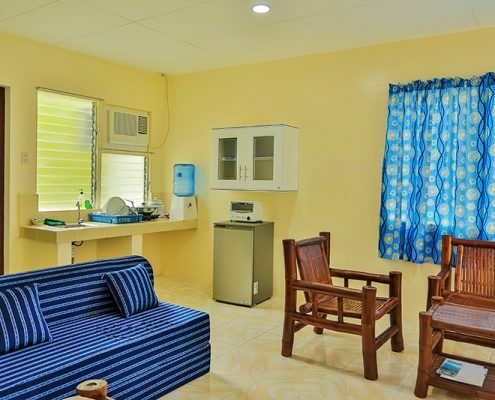 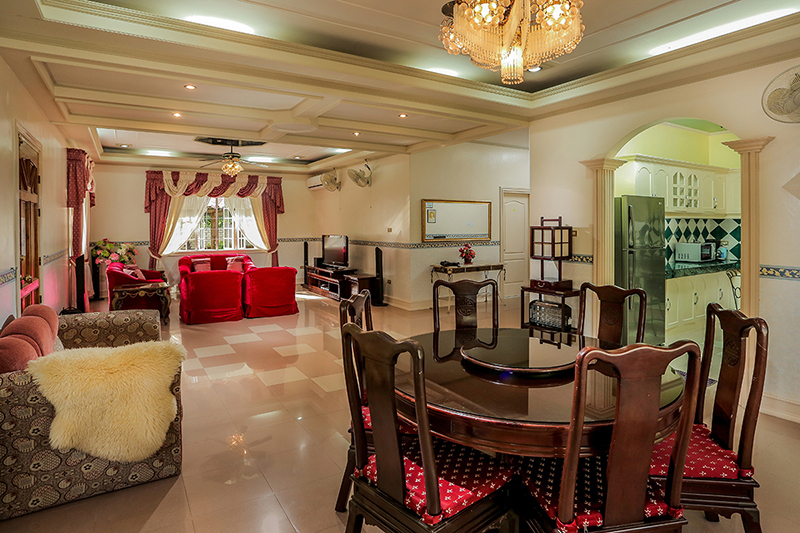 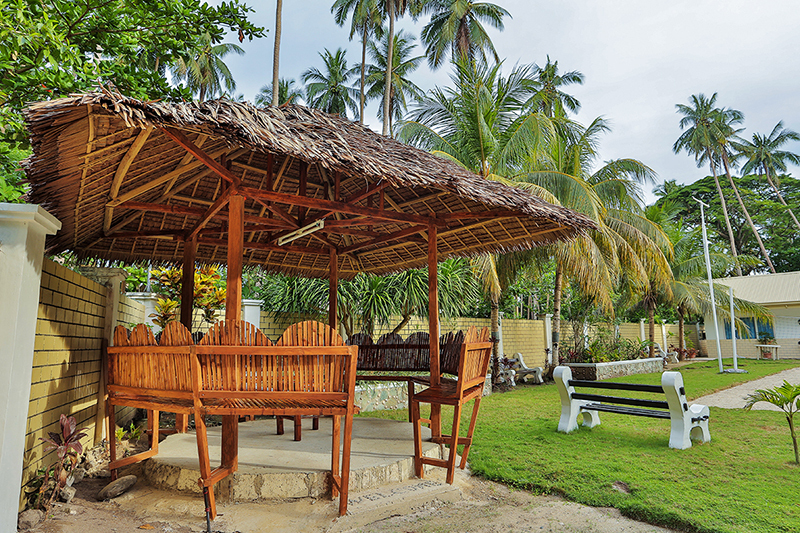 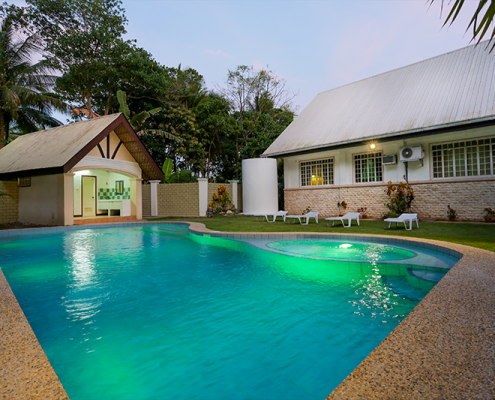 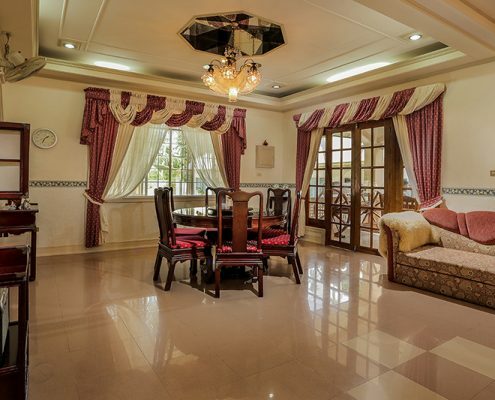 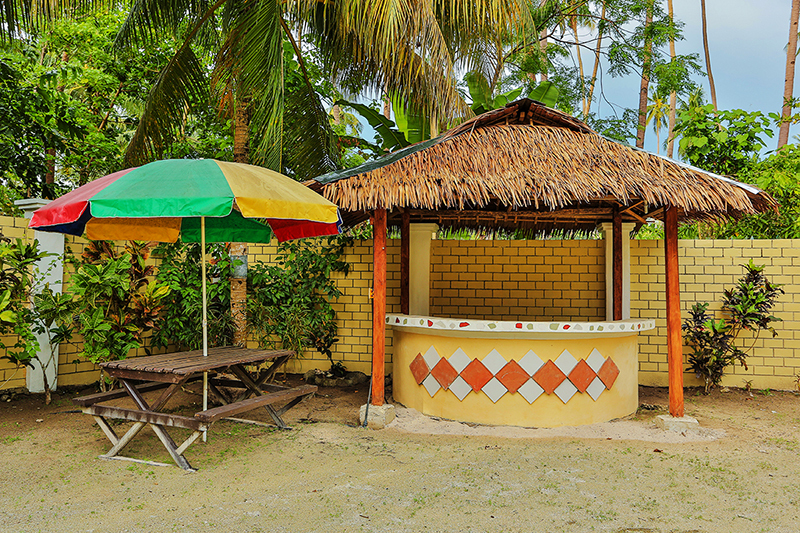 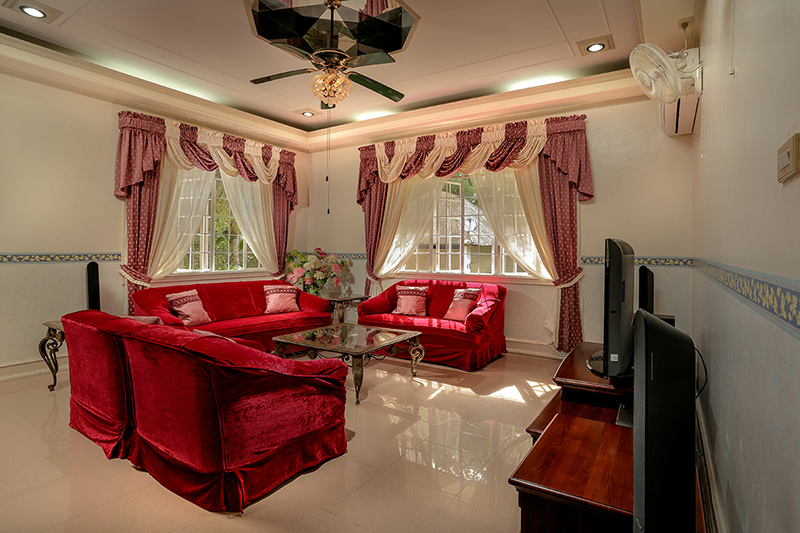 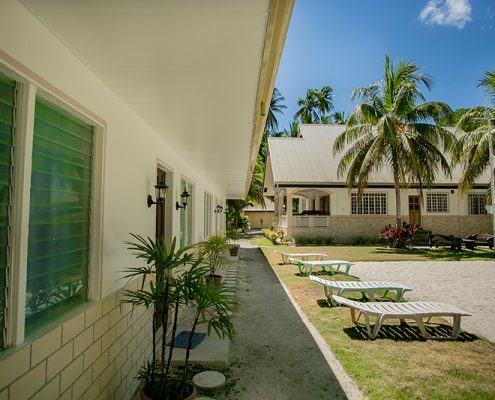 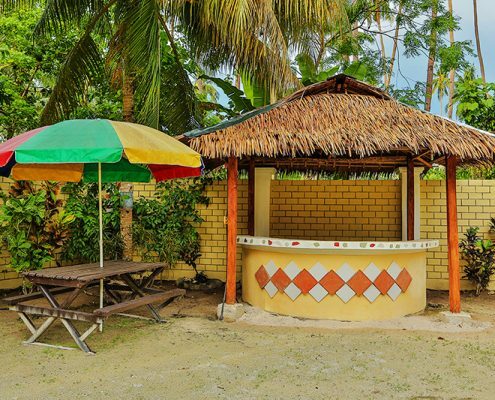 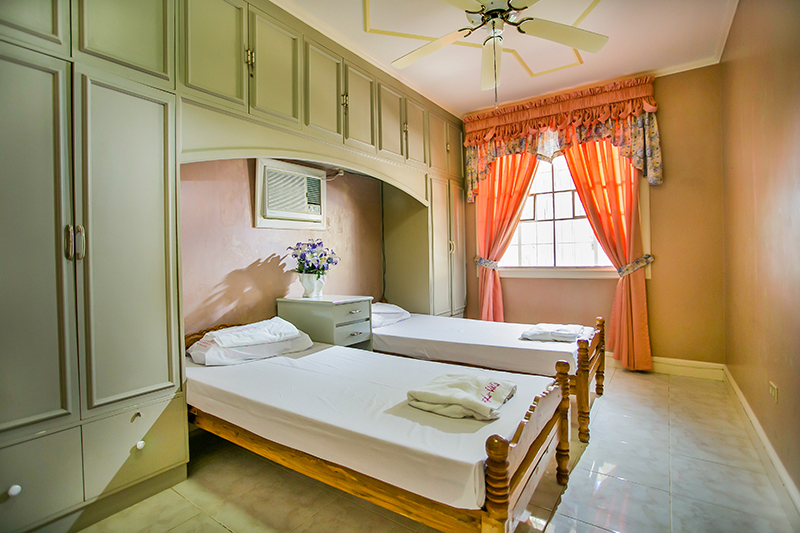 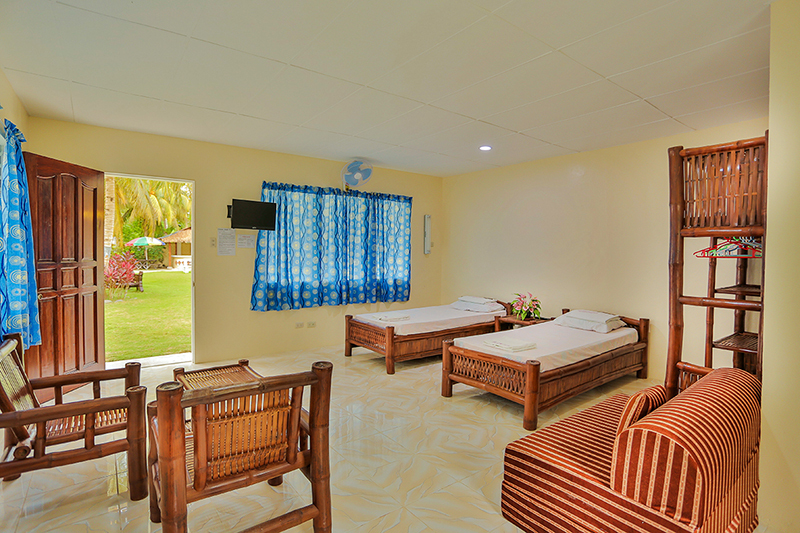 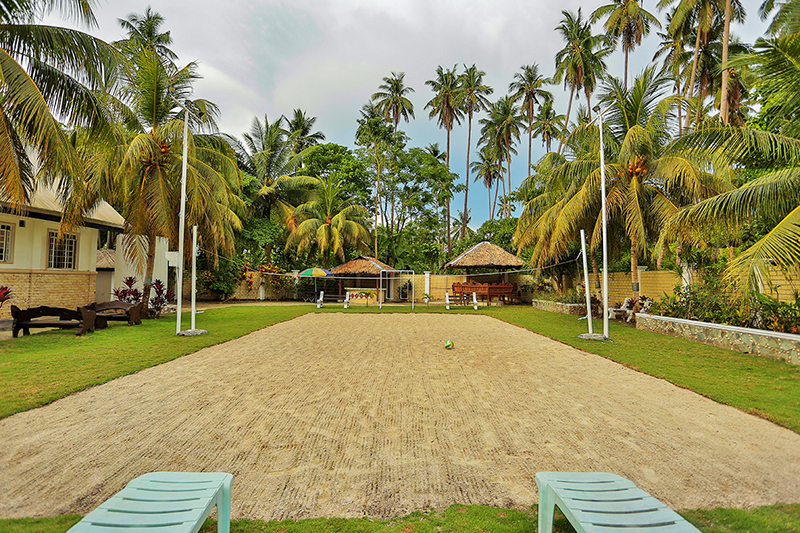 Panglao Villa is a beautifully maintained villa ideal for couples, families or small groups. 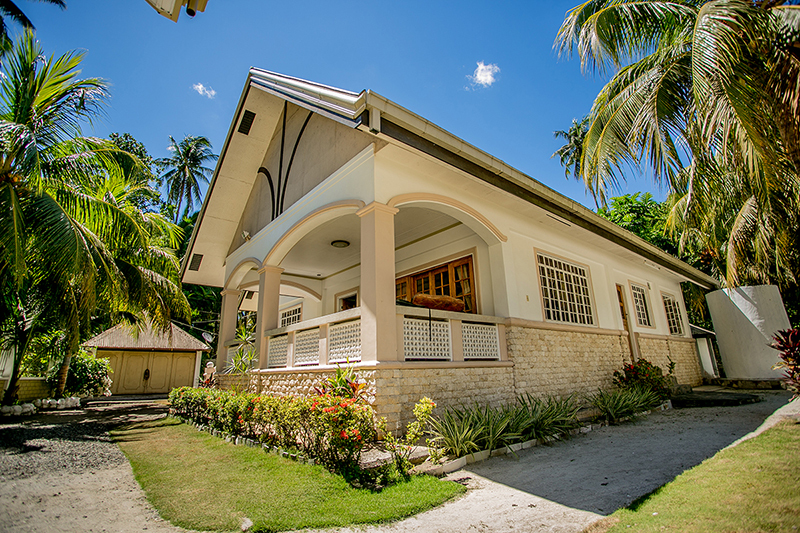 With all modern amenities, the villa is close to beaches, dive sites, restaurants and the local village. 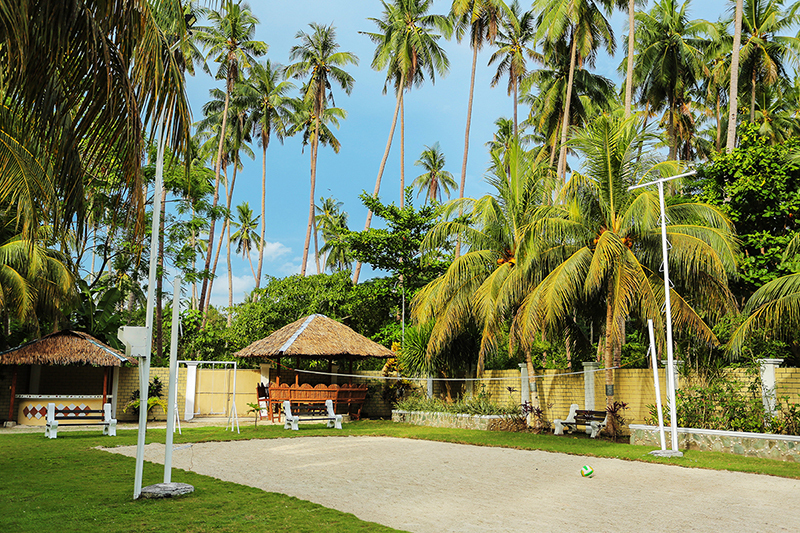 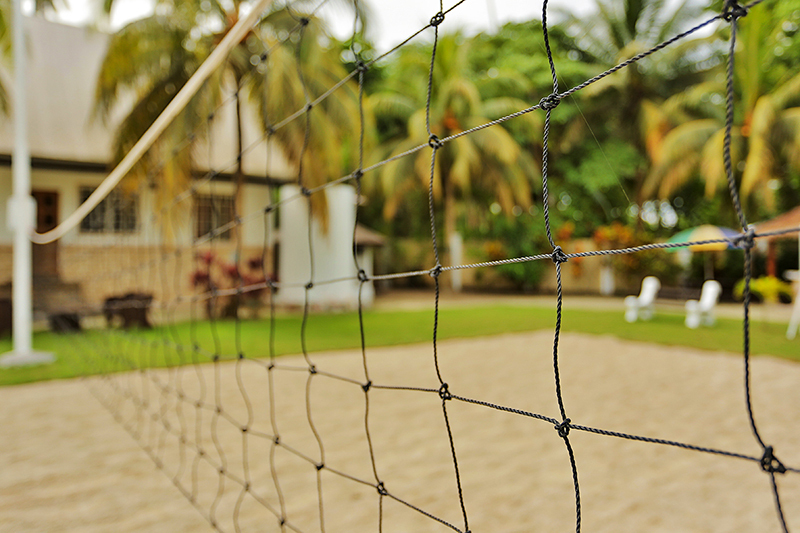 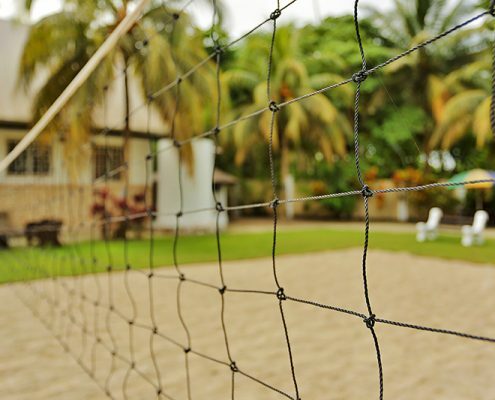 The secure private garden includes a volleyball / badminton court, a barbeque area, a summer house, and a new swimming pool. 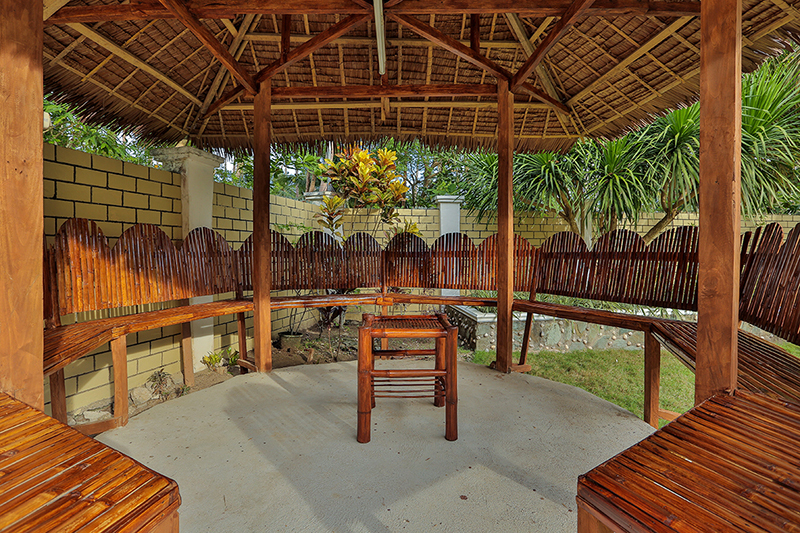 Sip cocktails on the terrace – be as active or as relaxed as you wish on holiday in Panglao. 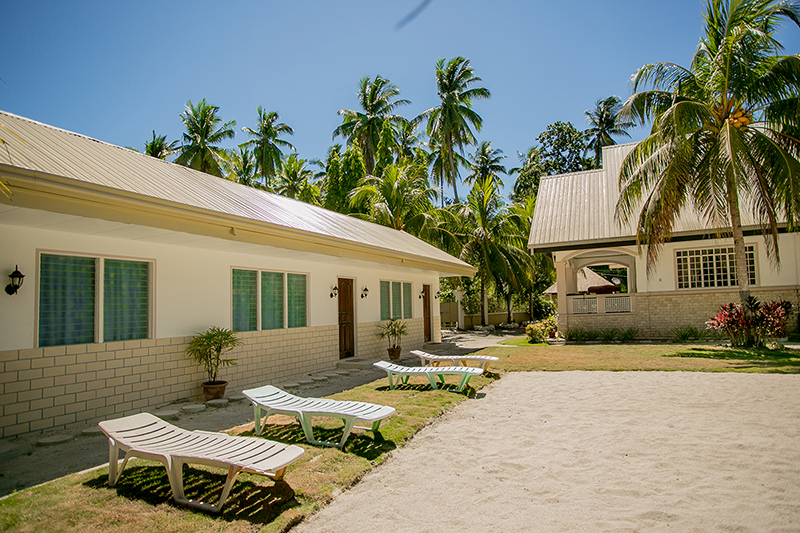 There are now three extra double bedrooms available in a newly built extension, increasing the accommodation from 6 to 12, so we can accommodate larger groups, and we specialize in family reunions. 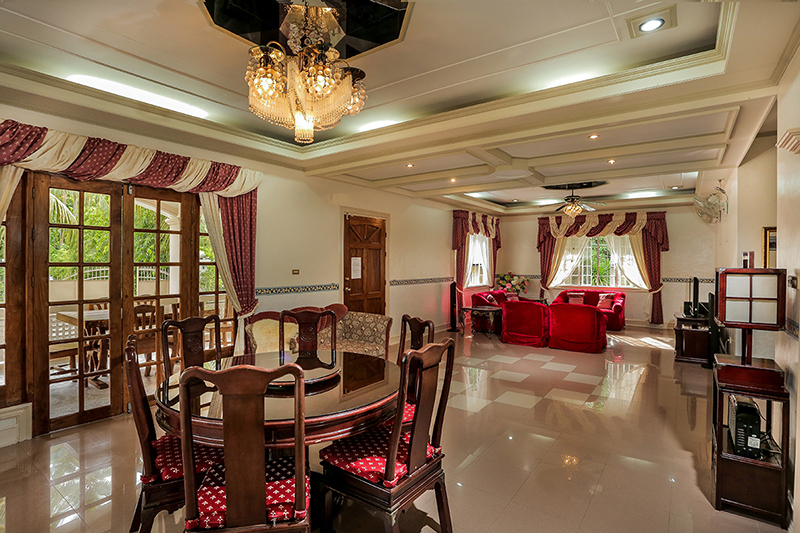 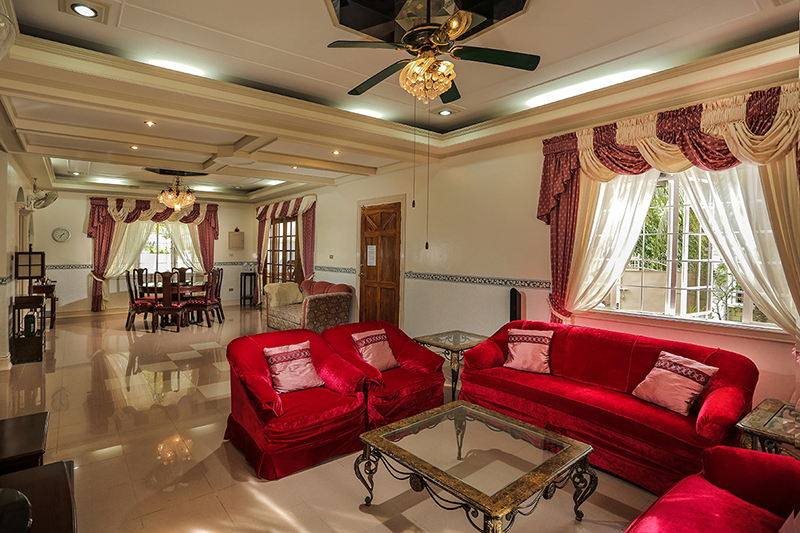 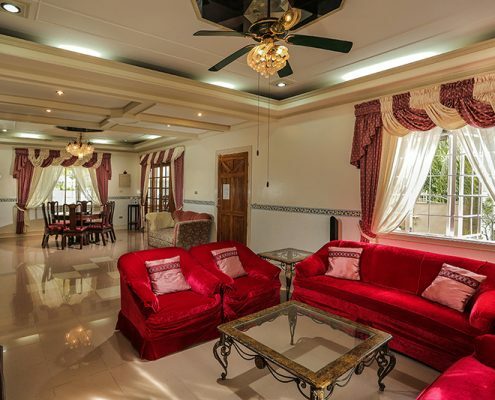 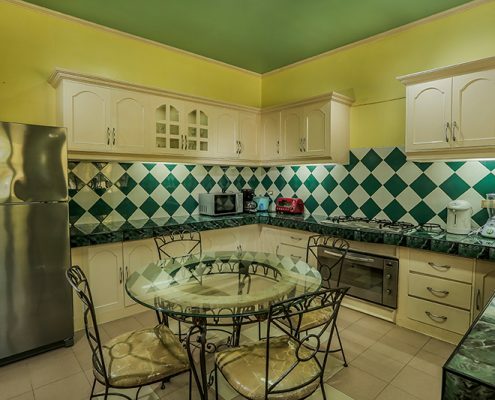 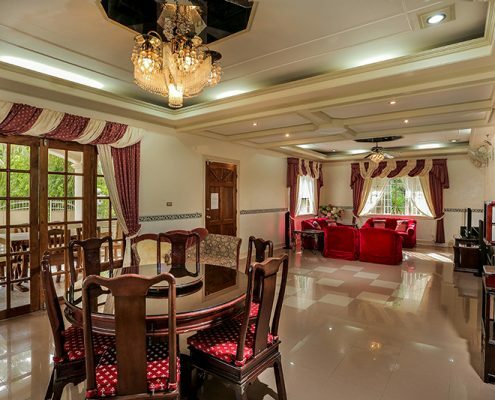 Be assured that if you do not need to use the extra rooms they will NOT be rented separately to anyone else during your stay – the apartments are only rented out to the guests renting the villa if they need extra rooms. 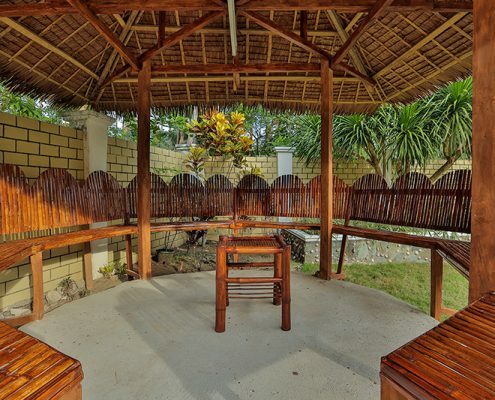 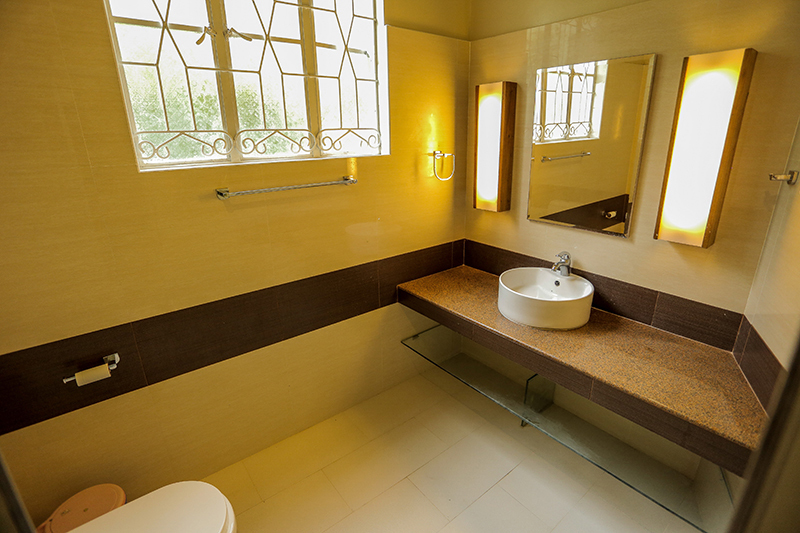 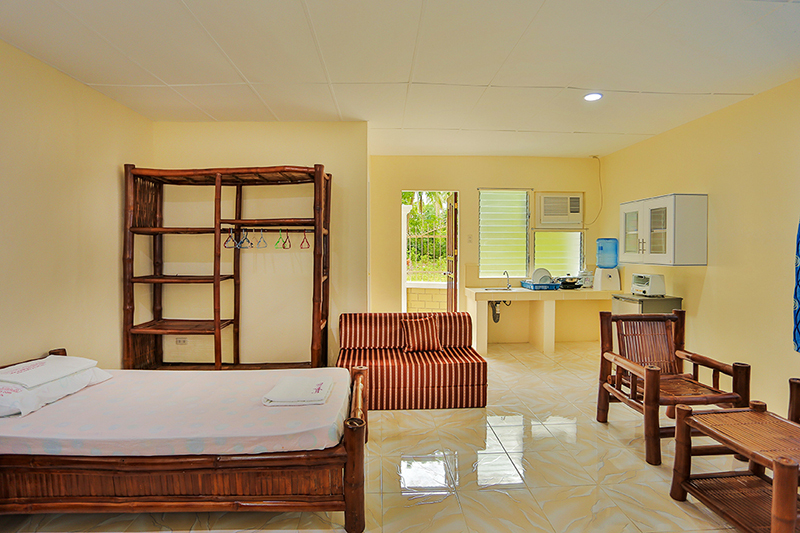 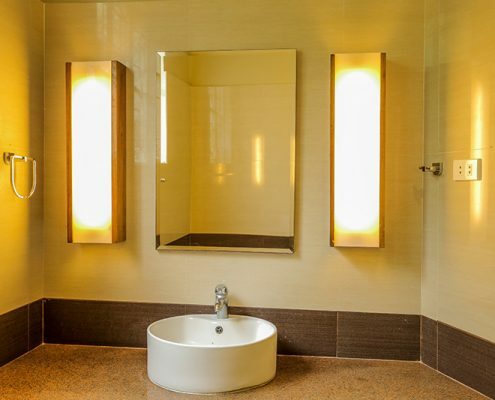 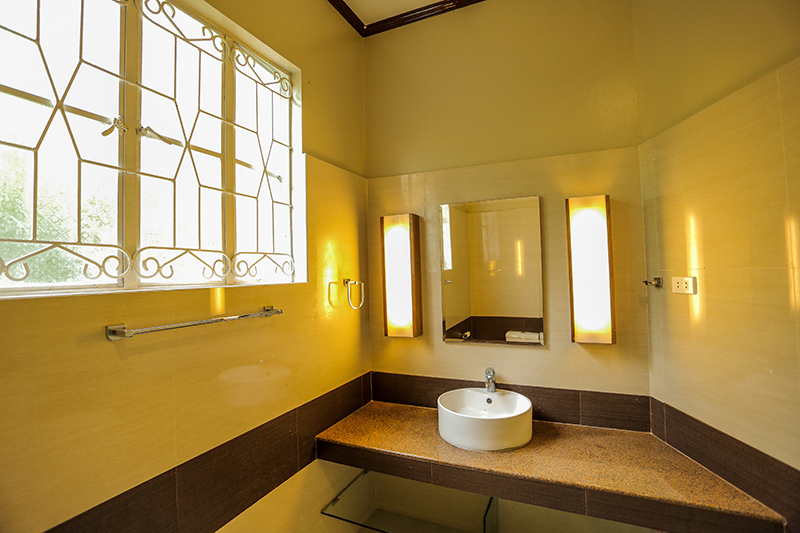 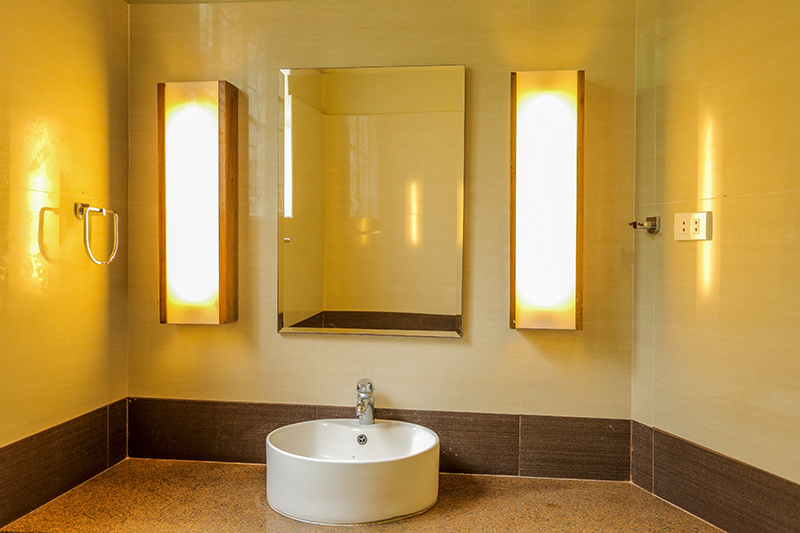 Panglao Villa will remain entirely your own private retreat. 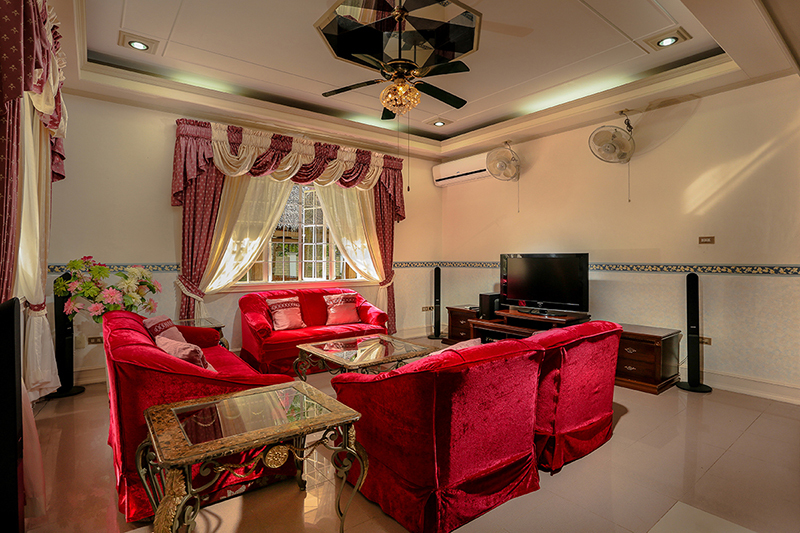 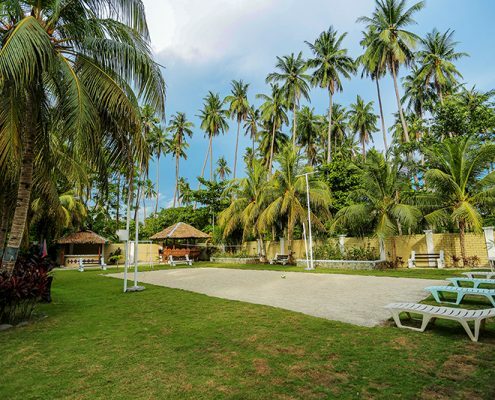 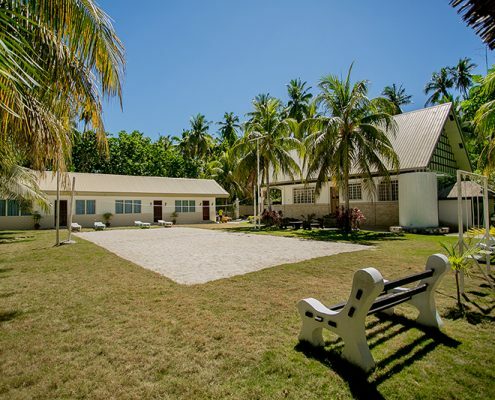 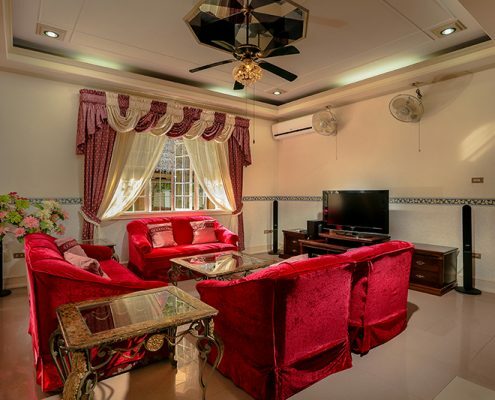 The villa faces a beautiful area of coconut trees, and is accessed by a small private road. 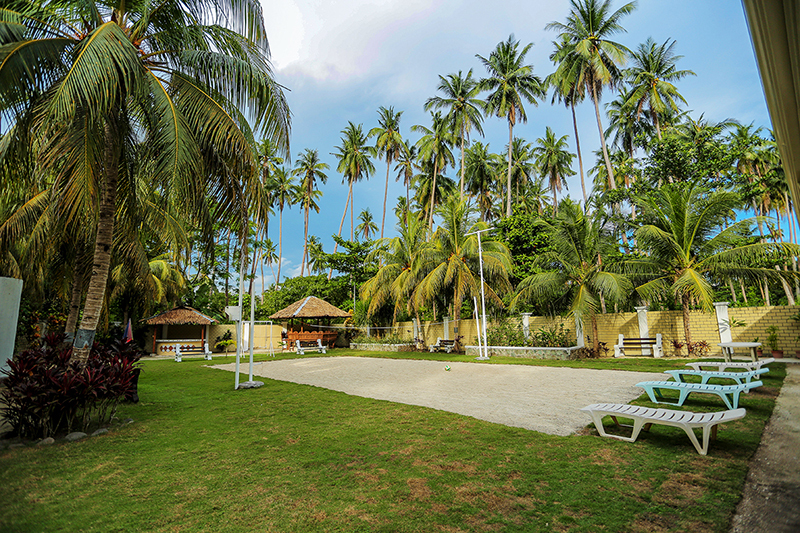 On leaving the villa, turning right gives a very pleasant 10 minute walk past the coconut trees to the nearest beach. 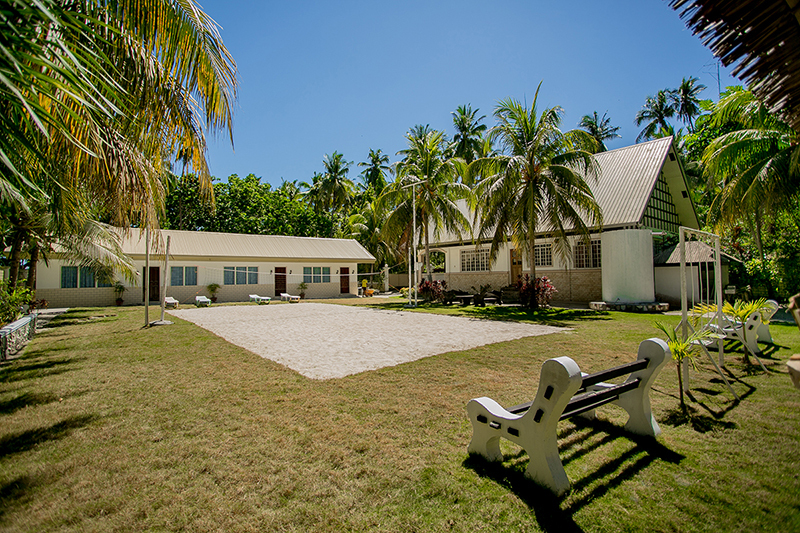 Turning left there is a 5 minute walk to the local village. 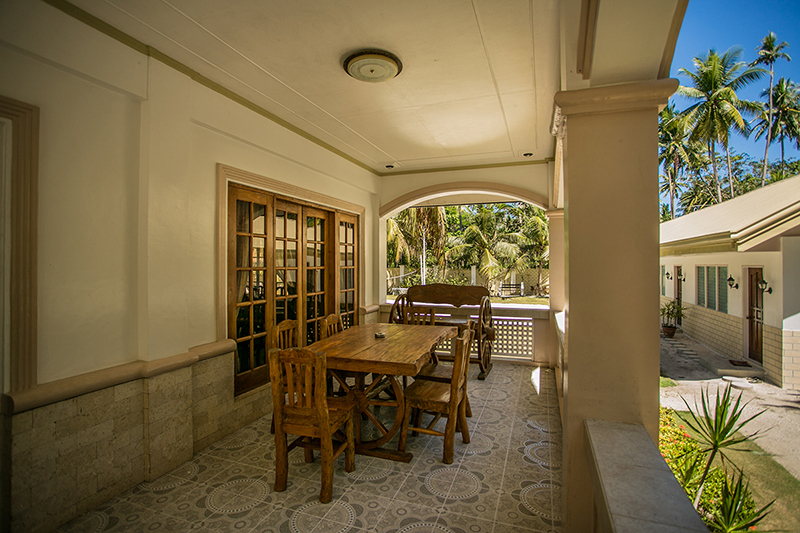 PLEASE NOTE these apartments enable us to accommodate larger groups. 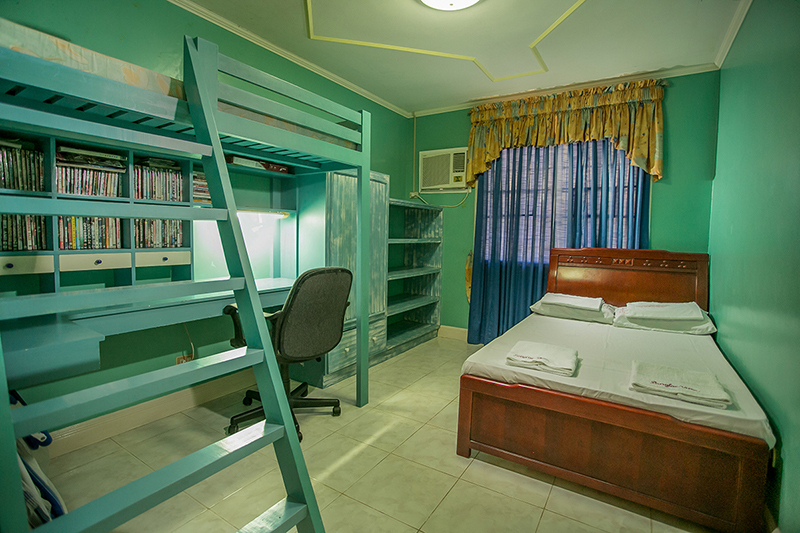 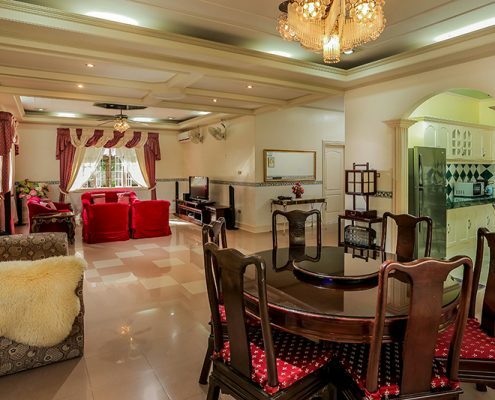 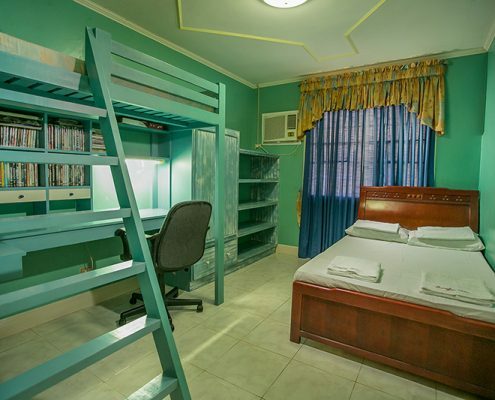 If you do not need the extra rooms they will NOT be rented to anyone else during your stay.